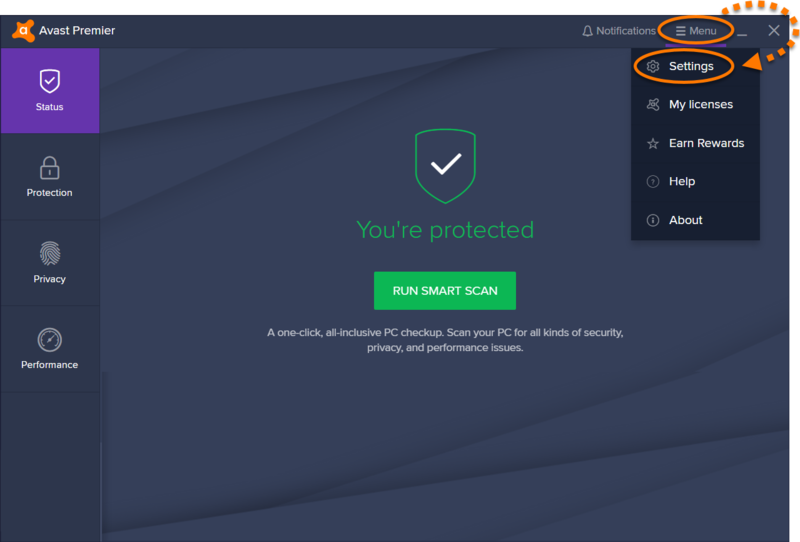 Avast Antivirus displays notifications about other available Avast products, as well as information related to Avast activity, product updates, warnings, and alerts. 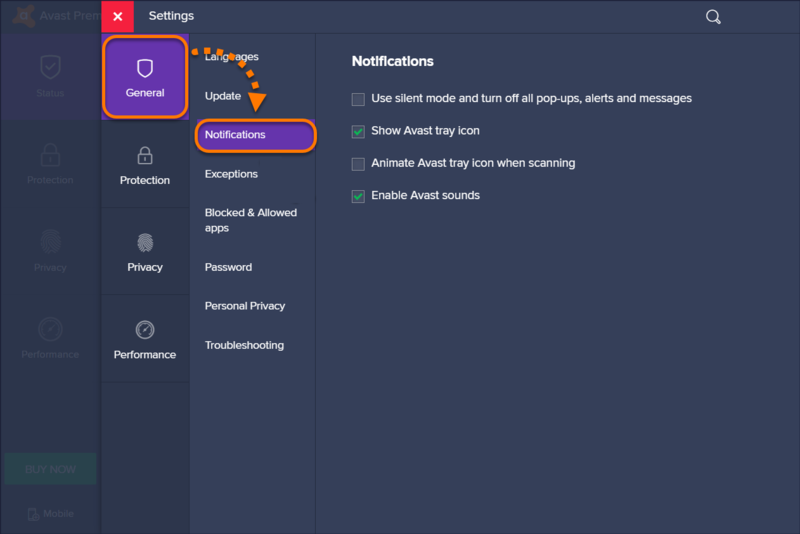 You can manage these notifications in Avast settings. 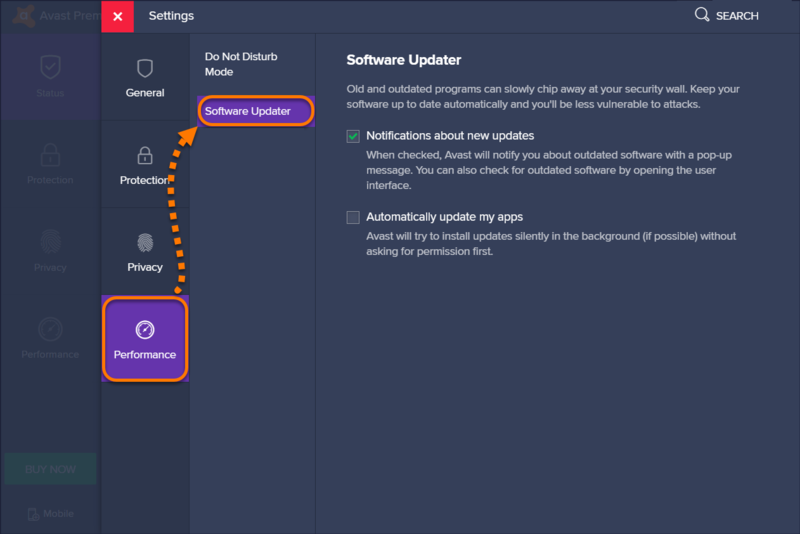 Notifications about new updates is ticked by default to keep you notified about outdated products that may slow down your PC. If this option is unticked, you can check for outdated software manually. Select the Performance tile in the left panel, then click Software Updater. Untick the box next to Notifications about new updates to disable notifications. Ensure the General tile is selected, then click Notifications. 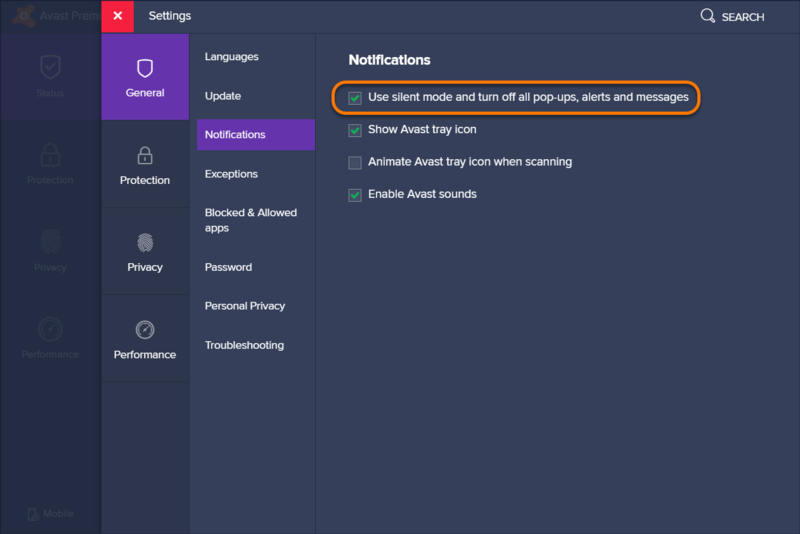 Tick the box next to Use silent mode to turn off all pop-ups, alerts and messages. All notifications are now silenced.